Selected Villas for rent near Bentota Lake Restaurant (Sri Lanka) - Contact us now! 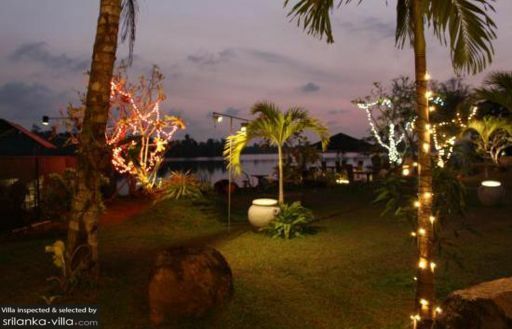 Villa travellers in search of a fine restaurant for a romantic and intimate dinner will not be disappointed by Bentota Lake Restaurant. Diners may opt to dine at the captivating and picturesque garden, or taken by pontoon to dine out in the middle of a calm and serene lake. Guests are spoilt for choice, and can select from a wide range of items on the menu, such as salads, sandwiches, main courses, mixed grilled items, Indian food and Sri Lankan fare.